As part of World Antibiotic Awareness Week 2017, we present a Q&A with Mohan P. Joshi, MBBS, MSc, MD, SIAPS principal technical advisor. 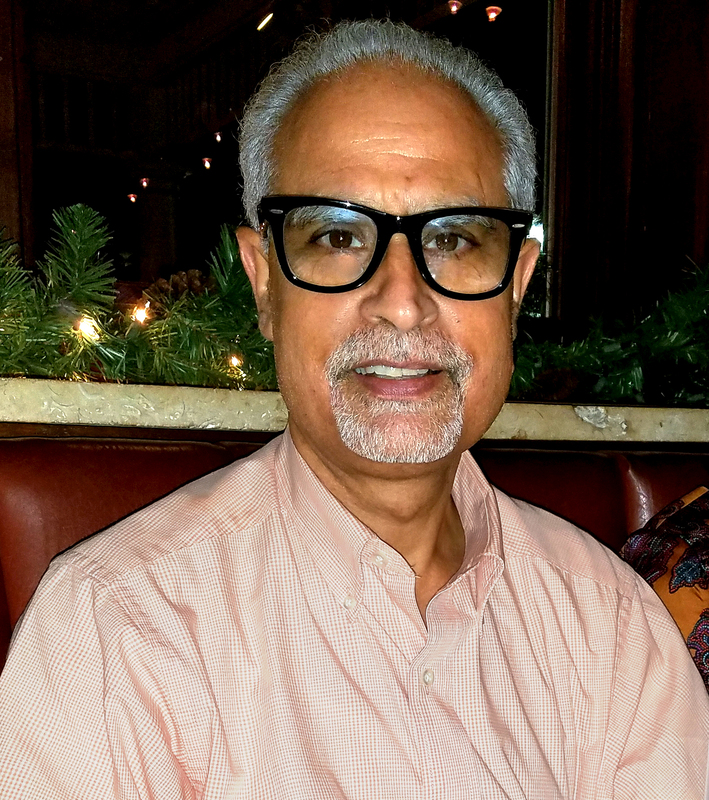 Dr. Joshi is responsible for providing technical guidance and support in the planning and implementation of rational medicine use and antimicrobial resistance (AMR)-related activities. Are there new AMR threats that are particularly worrying? What keeps you up at night? The mcr-1 (mobilized colistin resistance) gene allows E. coli and other bacteria to withstand colistin, which is one of the last resort agents to treat dangerous gram-negative infections. It was discovered in 2015 and is now in more than 30 countries. You might also have heard of NDM-1 (New Delhi Metalo-beta-lactamase-1) bacteria, which are extremely hard to treat and are resistant to even carpapenem, a very strong antibiotic. NDM-1 was first identified in 2008 and by 2015 was detected in more than 70 countries. New gonorrheal strains resistant to even last-line antibiotic treatments are on the rise. Similarly, a fungus called Candida auris that causes severe hospital-acquired infections has become resistant to all three classes of anti-fungals commonly used—and requires specialized lab methods to even identify. Of course, multidrug-resistant and extensively drug-resistant TB are other worrying examples of highly resistant germs. The World Health Organization (WHO) launched a global action plan to fight AMR in 2015. How has the world done since then? All countries were to have national action plans (NAPs) by 2017. As per the WHO library of NAPs, about a fifth of member countries have finalized them so far. It’s good progress. But, as I mentioned during a brownbag on AMR at USAID, operationalizing those plans is the next big priority. Governance and accountability to national and global commitments is important going forward, as is sharing experiences and creating networks. Putting the One Health concept into real practice is challenging but critical to address the multisectoral and multifaceted problem of AMR comprehensively and sustainably. You recently completed a guide to building coalitions to work against antimicrobial resistance. What’s in it? 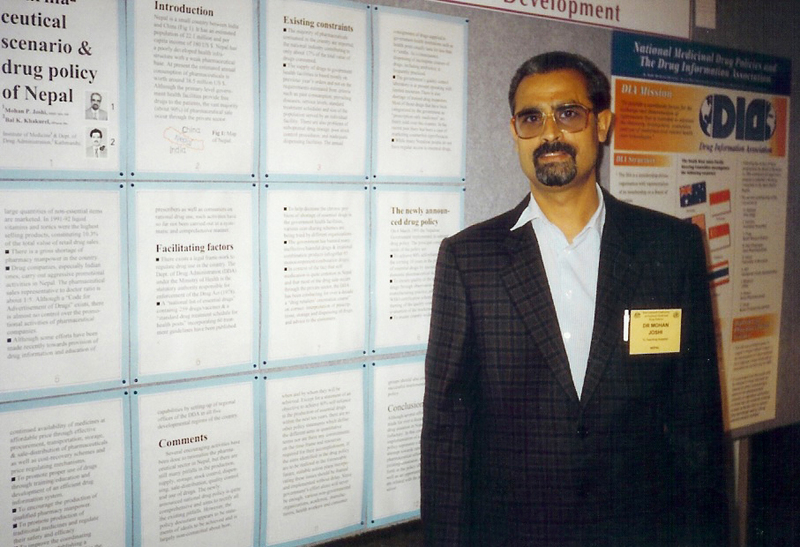 Joshi in 1995 at the International Conference on National Medicinal Drug Policies in Sydney, Australia. It talks about identifying and engaging AMR-related stakeholders and includes advocacy and coalition-building guidelines, practical implementation examples from country- and regional-level initiatives, and user-friendly implementation tools and templates. We hope that the field-tested approach, the practical details, and the lessons learned described in the guide will provide a game plan for countries in building coalitions to defeat AMR. We did a successful project on antimicrobial stewardship in Jordan hospitals. It involved building a coalition of stakeholders, such as OB-GYN surgeons, anesthetists, nurses, pharmacists, infection control committees, and drug and therapeutics committees, to develop and implement local protocols and procedures to improve antibiotic prophylaxis in cesarean section. Taking a step back and strengthening the building blocks of this health system, and applying a continuous quality control approach, led to incremental but s+ustainable progress. So, how do you convince stakeholders to act now? I think that AMR’s true threat hasn’t been brought home to the public. You’re right. To a large extent, AMR thus far has been more of a scientific topic and a concept. But to create that sense of immediacy and urgency that you’re indicating, we need to show how it’s a current threat to our families and livelihood. That means involving the public and communities, consumer interest groups, and civil society organizations. As sad and frightening as this might be, we also need to deliver messages describing the real impact of AMR, even locally—the negative health outcomes, financial hardships, suffering, and death. How can we work on individual behavior when it comes to rational medicine use? Patients often want to leave a clinic with an antibiotic. Adherence is another issue. There are known techniques and methods of behavior change, but we haven’t applied them adequately to medicine use. We can learn from social marketing and also from private-sector businesses on how they succeed in bringing about behavior changes in individuals and the public. As to sticking with a regimen, SIAPS recently published a thought leadership document on systemic approaches to improving medication adherence that talks about effective strategies at various levels of health systems. You’re a doctor from Nepal. What is antimicrobial use like there? You might assume that the main issue is lack of access to essential antibiotics. That’s true in some remote areas, but unregulated easy access, misuse, and overuse also pose problems. Recognizing this and other AMR-related issues, Nepal completed its NAP on AMR, and its effective implementation should help in antimicrobial stewardship, infection control, and overall AMR containment. Interview by Stacy Lu, staff writer for SIAPS. Read more here about SIAPS’ work to combat antimicrobial resistance.